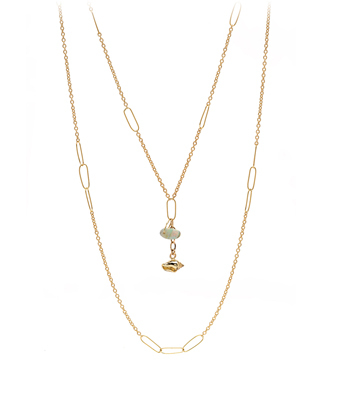 A staff favorite, this beautiful necklace is an ideal choice for a modern bohemian woman. 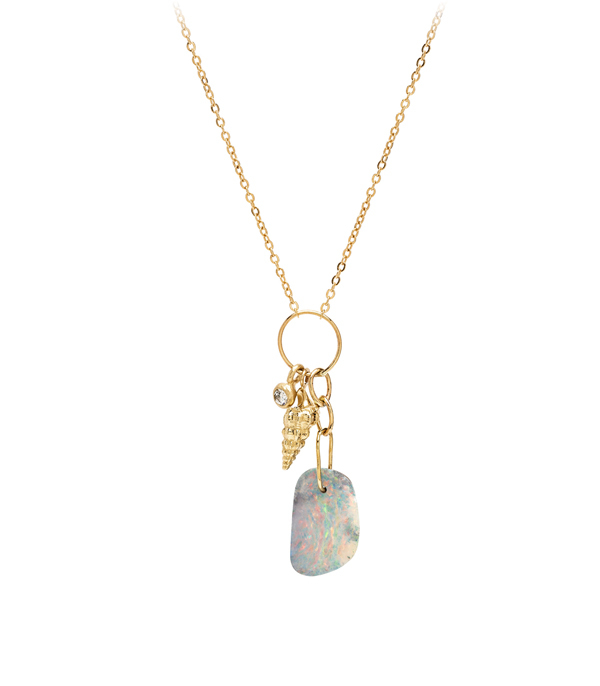 A delicate 14K gold chain is accented with the perfect collection of whimsical charms: an Australian Boulder Opal slice, a cast gold seashell, a golden diamond pod. 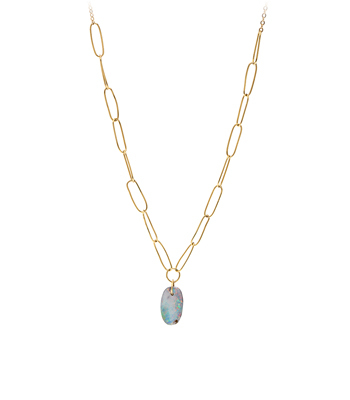 Pure magic on its own or layered with your other SK favorites. 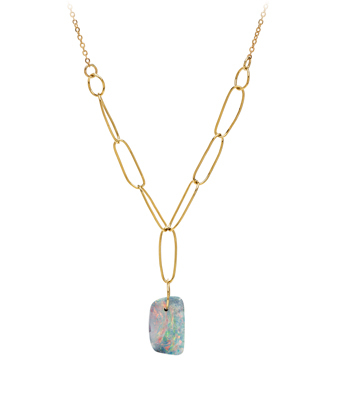 Categories: Necklaces, One of a Kind, The Opal Edit.